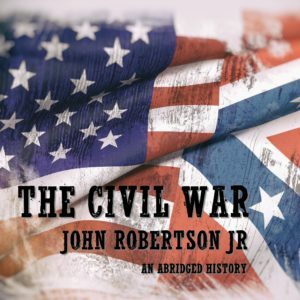 This Civil War recording is taken from a 1963 booklet by John I Robertson and the US Civil War Centennial Commission in the public domain. The recording presents in simple language, a survey of the 11 most important aspects of the 1861-1865 American conflict. It is not possible to describe all of the 6,000 plus battles nor consideration of the political, economic, and social history of the period in this abridged version. However, this short recording provides an accurate overview of the causes, advantages, and disadvantages of each side, losses, diplomacy, technology, and investigations into the soldiers and sailor’s lives, and major battles.